Tarlac City Mayor Cristy Angeles’s heart is full after receiving a distinct recognition from her elementary and high school alma mater over the weekend. The lady politiko shared on her Facebook page a photo of an “Achievement Award” trophy she got from the College of the Holy Spirit of Tarlac Alumni Association last Saturday. “Bilang lingkod bayan, nakakataba po ng puso na maparangalan ang ating kontribusyon at tulong na ating alay sa bawat Tarlaqueno at sa ating lungsod,” Angeles wrote. The official gave credit to her alma mater for shaping her personality through her experiences there and the lessons she learned as a student. 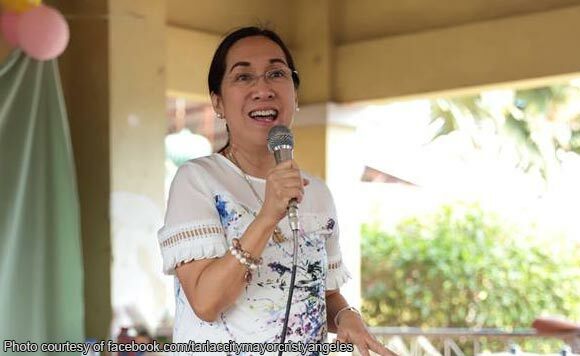 “Nagsilbing isa sa mga inspirasyon ang aking pinakamamahal na Alma Mater sa paghahatid ng totoong serbisyo sa publiko,” she said.